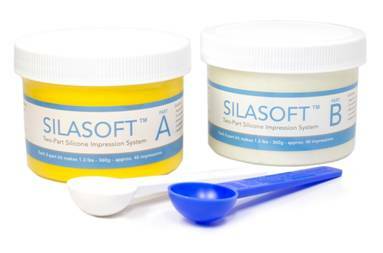 Silasoft™ is a vinyl polysiloxane impression material formula with remarkable softness. It offers the same smooth blending qualities, easy insertion and excellent memory as other vinyl addition silicone systems, but features a lower Shore-A rating of 28+3 (fully cured). This additional softness makes it ideal for sensitive ears and CIC fittings.